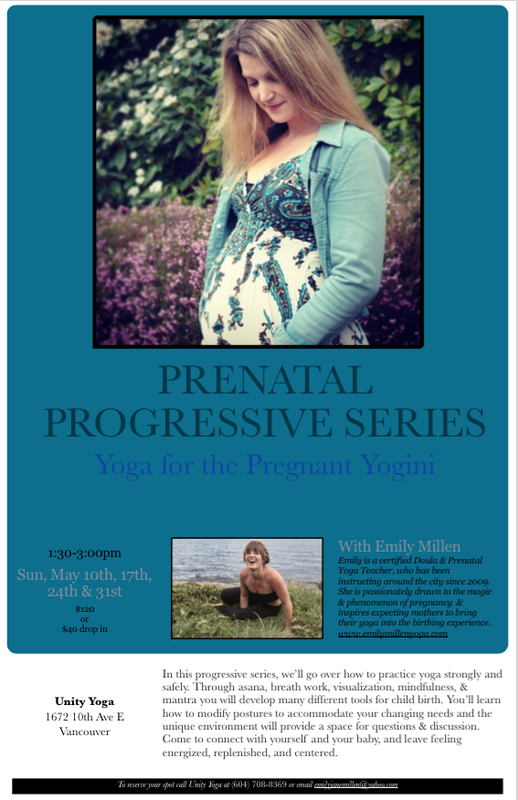 I'm leading a prenatal yoga workshop at Unity Yoga, on Commercial Drive. Check out the "Workshops & Retreats" section for more info, or view the poster below. Hope to see you there!